Richard Delgado, Jr. is a lifetime Texan who served 10 years in the United States Marine Corps. Entering the delayed entry program at the age of 17, Richard and has spent his life serving his community, our country and its heroes. Struggling to recover from his own injuries sustained and dealing with the mental anguish of losing fellow Marines, Richard found that there was a large disconnect in care and resources for our Veterans in San Antonio outside of the normal military channels. With the support of his lovely wife Natasha, also a combat Marine, and their two sons and daughter, Richard has vowed to make the road easier for other veterans and has dedicated his life to this endeavor. 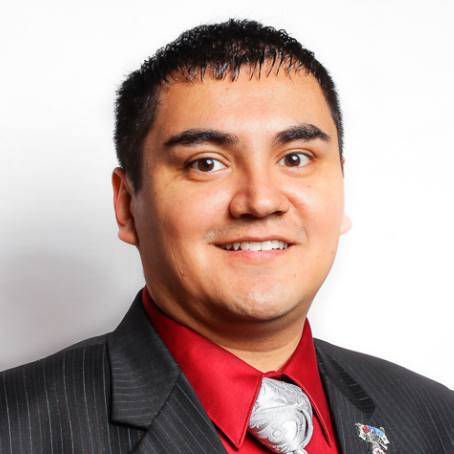 He found his calling in education and has spent the last four years helping veterans achieve their higher education goals working at Texas A&M University-San Antonio where he is the Director of Military Community Development. Richard has also helped improve resources and programs for veterans and their families by helping build numerous community partnerships and has found additional meaning through participation on several state and national panels, committees and boards, acting as a voice for our veterans and their families. He is currently developing new and innovative ways in which universities can support our nation’s heroes with the opening of the Patriots’ Casa in San Antonio. Known as “An academic home for the brave”, military community students enrolled at Texas A&M University-San Antonio will have a 22,000 square foot stand-alone facility designed with their needs in mind including: specially designed suites for veteran family counseling by licensed professionals; computer work stations and open lab space for various academic needs; a gallery exhibit where veteran students can display and share their memorabilia and military experiences in an interactive way; indoor assembly areas and office space for ROTC programs and staff and a variety of other opportunities to provide a welcoming environment that helps honor our vets and their families.